Disclaimer: This book was sent to me for review by the publisher. However, all thoughts and opinions are my own and have not been influenced in any way shape or form. I finished this book a couple of days ago and it left me stunned. This book left me with so many emotions, so many opinions but I was unable to put them into words until now. Even now, I’m not entirely sure if this review will give the book the justice which is truly deserves. This book is one of those books which keep you up at night, thinking about the story which was contained within the books pages. In this case, I was left in my bed thinking of the raw story that I had just read. The book itself was definitely dark, darker than what I was expecting. It is hard to describe stories such as these because I feel that it is inappropriate to say how great the story was when the events in the story were anything but. During this book, we follow the story of our main character Charlotte who had been kidnapped four years earlier. After the events which lead to her being found in the attic which she had been contained for four years, we follow her recovery and as she enters society again. The themes of grief, trauma and recovery amongst many over themes which the story contains. These themes were explored in such a raw and realistic manner which as a reader, I really appreciated reading and I applaud the author for exploring such themes. Also, to add onto how realistic this book was, the way that the author wrote the other characters, mainly her family was done very well. Each member of her family deals with her difference in their own way which is expected in this sort of situation. However, what I really appreciated was the fact that once she had been found, it didn’t impact the changes that the family had faced when she was missing. Yes, things improved which would once again be expected but her family wasn’t perfect and they did not return to how they had been before. This alone added to how realistic, raw and emotional this book was. The topic of recovery is the main part of this story and once again, it was done so well. Charlotte faced many struggles, some that would never get better. As someone who has experienced something traumatic, though not as bad as what Charlotte experienced during this book, I really appreciated the way her recovery was shown. Yes, she would might not fully recover in the sense that all her problems will go away but was able to learn about ways to deal with it, that it was okay to feel the way she did and that there were many different ways to deal with an event which had had a large impact on your life, or in this case, her kidnapping. 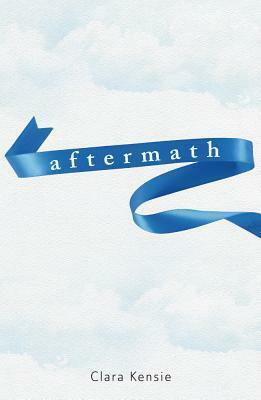 In conclusion, Aftermath is an incredibly realistic, raw and captivating book which left you on the edge of your seat. It was rather difficult to put my thoughts in words for this review but let me say that this book is a book which I would recommend to everyone! I would easily say that this book is as good or even better than The Lovely Bones. If you haven’t brought this book or haven’t checked it out of your library, I suggest you do so right now. The themes that this story contain are so important in my opinion and I feel as this is a book which everyone should read during their life. I haven’t heard of this book but it sounds really interesting. I love a good realistic, raw book so I’ll have to check this out.